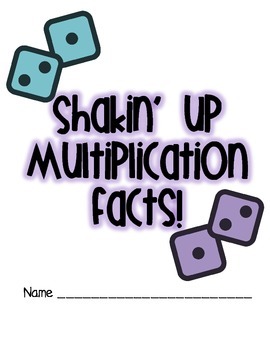 Multiplication Practice Bundle-Shakin' Up Multiplication Facts! This bundle has three parts to it. 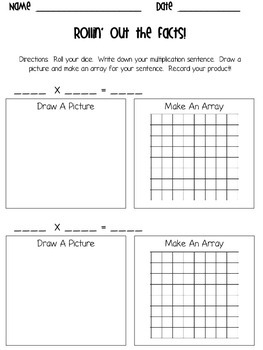 Students can use this as guided practice, independent practice, station work, or partner work. They are using dice to create facts! They will then draw a picture and create an array of their fact. 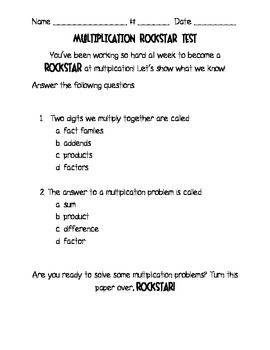 Students will SHOW WHAT THEY KNOW as awesome multiplication rockstars! This test includes basic vocabulary, ways to multiply, and two multiplication word problems. I hope you enjoy this AWESOME file!